If you look up the definition of ‘Yorkshire grit’ in a dictionary, you will most probably find a picture of Ben Moorhouse. 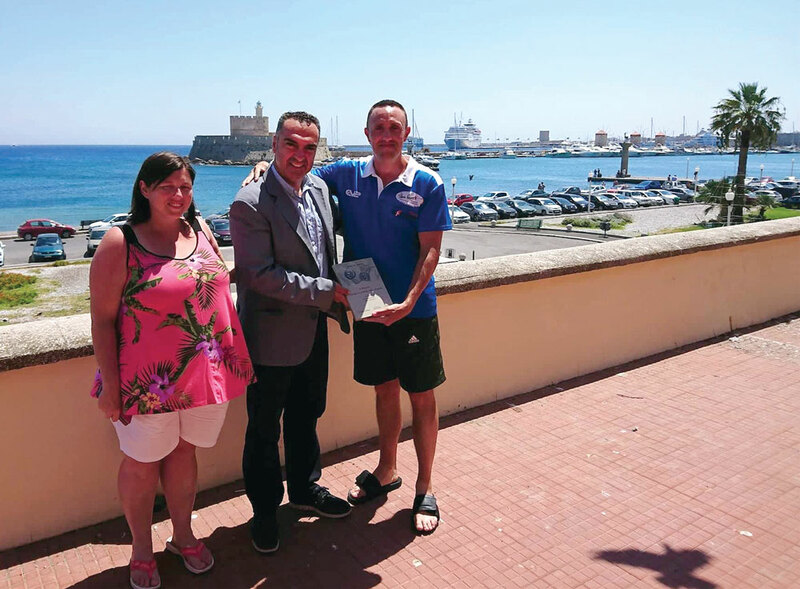 The Halifax lad has raised more than £14,000 for the Steve Prescott Foundation in a series of physical challenges in extreme temperatures over the last five years, ably assisted by his partner Gaynor Thompson. 2018’s trial saw Ben become the first person to walk around the Greek island of Rhodes in just 45 hours. 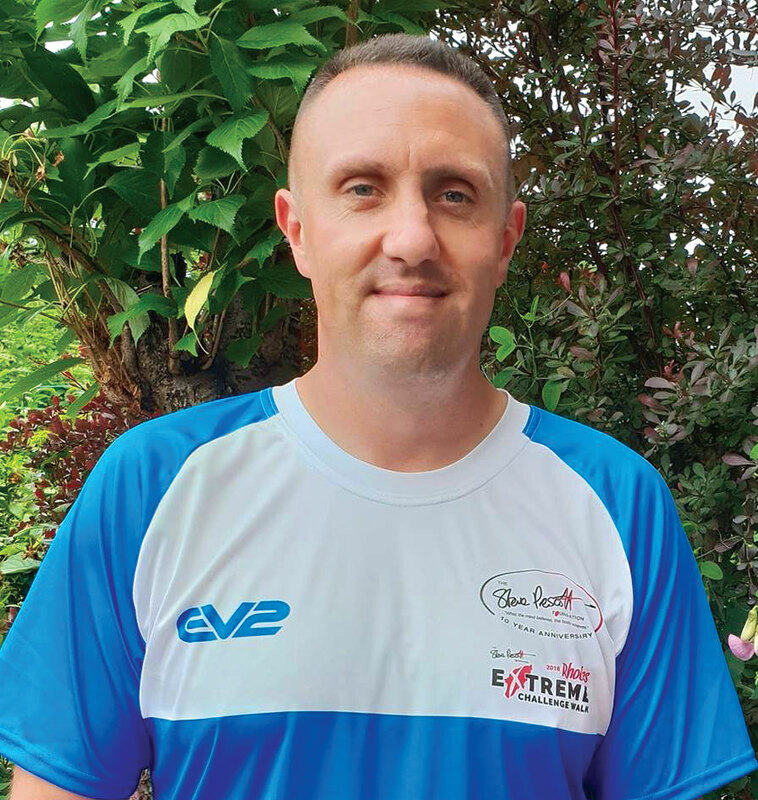 Purposefully choosing to up the ante and undertake the walk in August, when the mercury hit a balmy 42 degrees, Ben showed determination and an iron will to complete his task and raise as much money as possible for the charity named after the legendary rugby league player. By his side, supporting him in his endeavours, was Gaynor. However, this time around she was taking a less active role. Gaynor was six months pregnant with the couple’s first child. As Ben crossed the finish line, exhausted and roasting in the Mediterranean sun, Gaynor was there to congratulate him on adding another £3,500 to his already impressive charitable total. But later that year, events took a tragic twist. The couple found out that their baby had died just two weeks before her due date. At 5:05pm on 26th October 2018, Kallipateira Rodothea Moorhouse was stillborn at Calderdale Royal Hospital. After such a devastating event, it would be completely understandable if the couple hid away and took a break from the charitable work that is such a big part of their lives. But Ben and Gaynor are coming out fighting and have big plans to help others in their situation at the Halifax hospital, as well as raising awareness of what they term the “shocking” stillbirth statistics in the UK. The West Yorkshire couple were transferred to the bereavement suite at the hospital; a room with practical facilities such as a television, drinks-making equipment and even a display wall featuring the ocean, but also a room without natural light, lending it a gloom that weighed heavily considering the circumstances. However, that is where they encountered a midwife called Jenny, someone Ben describes as “one of the kindest, most gentle and most heartwarming people we have met”. Jenny explained the procedure from then on, including the horrifying information that they would have to return two days later to give birth to their daughter. Throughout the anguish of those early hours following the terrible news, Jenny supported them and promised to be there for the birth too. Kallipateira weighed 7lb 3oz and sported a full head of dark, black hair, and the couple were allowed to spend some time with her, to listen to Greek music with her and to sing to her before they finally had to say goodbye, physically at least. They will scatter her ashes off the coast of Rhodes later this year. Ben and Gaynor cannot talk highly enough of the staff at Calderdale Royal, but they feel these angels of the NHS are being let down by their facilities. 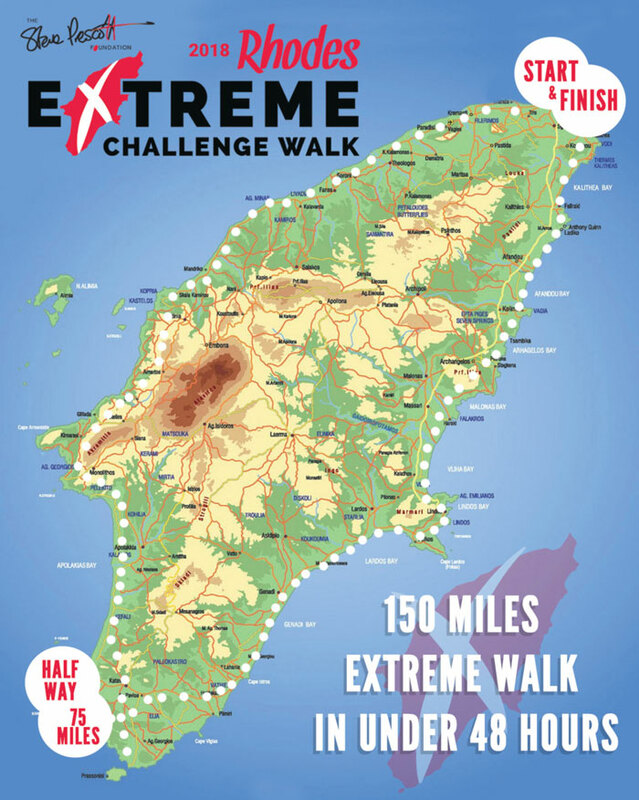 Whereas the Rhodes challenge last year was a feat of endurance, this first part of the fundraising effort in 2019 is more about the occasion for Ben. He’ll be walking up and down Whernside, Ingleborough and Pen-yghent at the pace of the group, rather than trying to “knock a few hours off ” the ridiculously fast eight hours in which he managed them last year. Ben also hopes to raise awareness of stillbirth, “most people think when your pregnancy goes past 20 weeks, you’re safe, but people need to be educated that this does happen, and the UK stillbirth rate compared to other countries is shocking.” The UK was found in a recent study to have a worse rate of stillbirth than almost all of the other 34 high-income nations featured. Next articleEverything Stops for Tea!